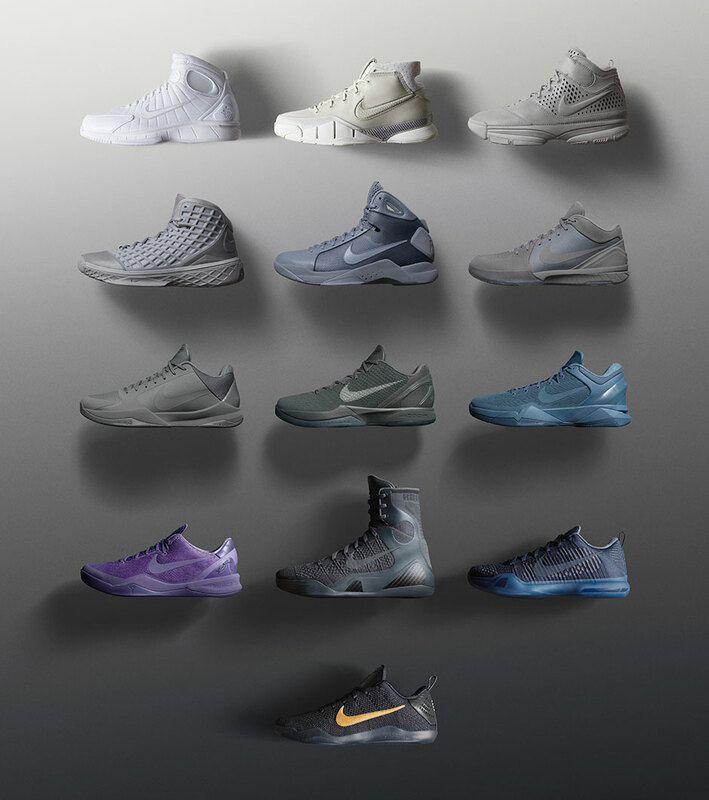 Today, Nike unveils the Kobe Black Mamba Collection, a thirteen-shoe tribute that includes every Nike Kobe signature shoe as well as the famed Huarache 2k4 and original Hyperdunk from 2008. 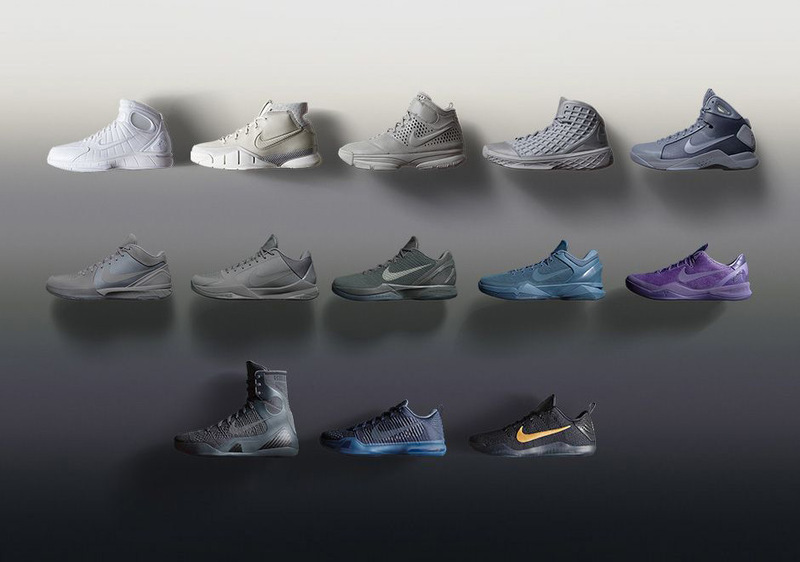 This celebration spans Kobe’s entire tenure with Nike, a partnership that began in 2003 after the Lakers star parted ways with rival adidas. 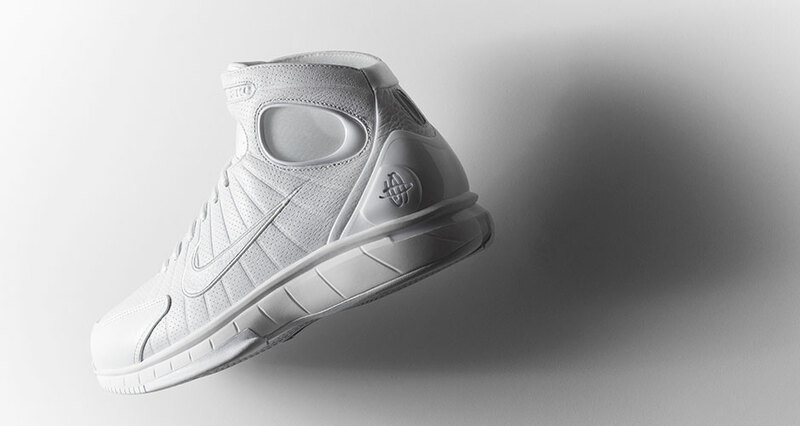 It began with groundbreaking performance models like the Huarache 2k4 and 2k5 and led to the debut of the Kobe signature series in early 2006. 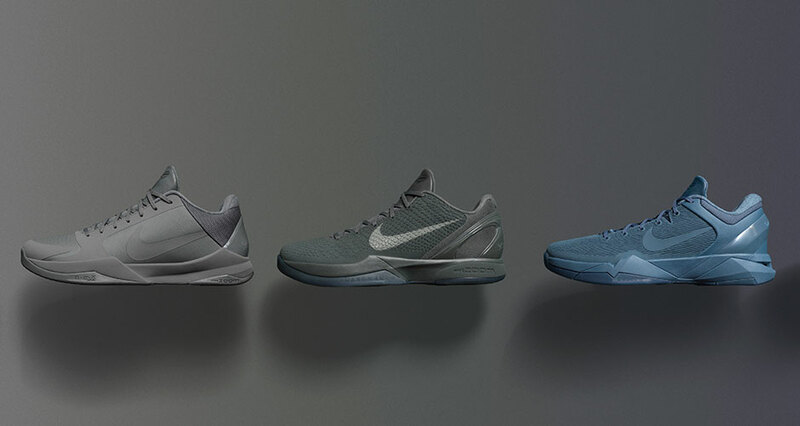 Since then, Kobe hasn’t failed in producing some legendary moments in each silhouette, manifesting in the Kobe Prelude Pack of late 2013/early 2014. 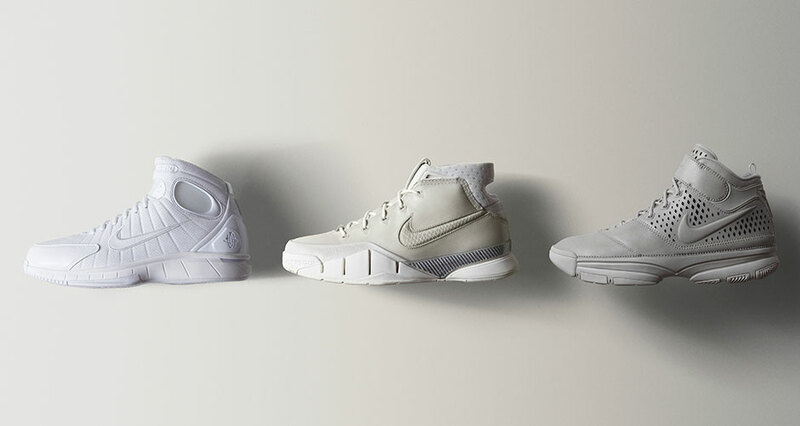 As a final farewell to Kobe Bryant, who exits the NBA roughly a month from now, Nike will release the Black Mamba Collection (previously dubbed the Fade To Black Collection) in successive manner starting with the Huarache 2k4 on March 22nd. The shoes will continue to release throughout the next month and will close out on April 13th, with the release of the Kobe 11 Elite. 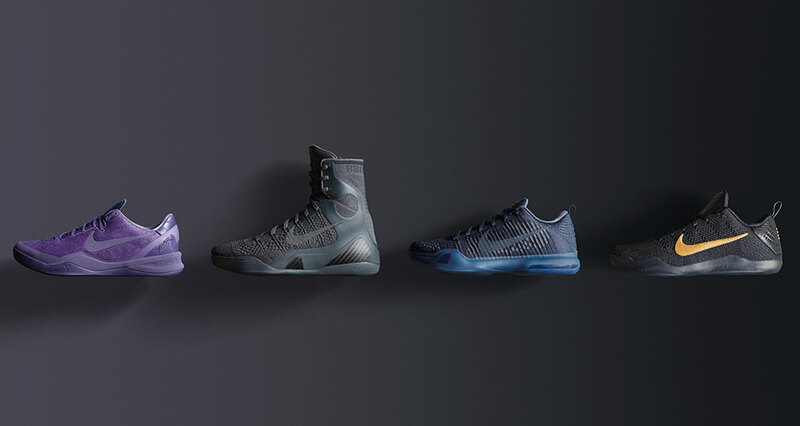 On that final game, Kobe will wear the Kobe 11 Elite FTB in his last game in the NBA. 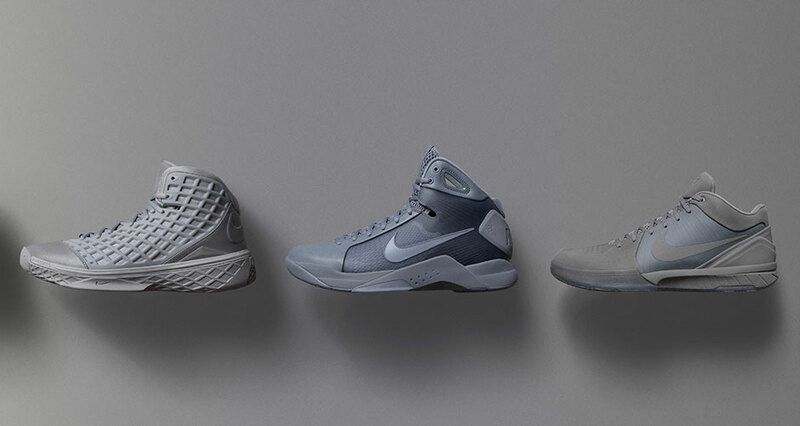 Get a detailed look at the entire collection below and let us know which of the thirteen models in the Nike Kobe Black Mamba Collection is your personal favorite.